Frank Pulaski was a Jewish merchant who came South to escape the racism of the Know-Nothing party. 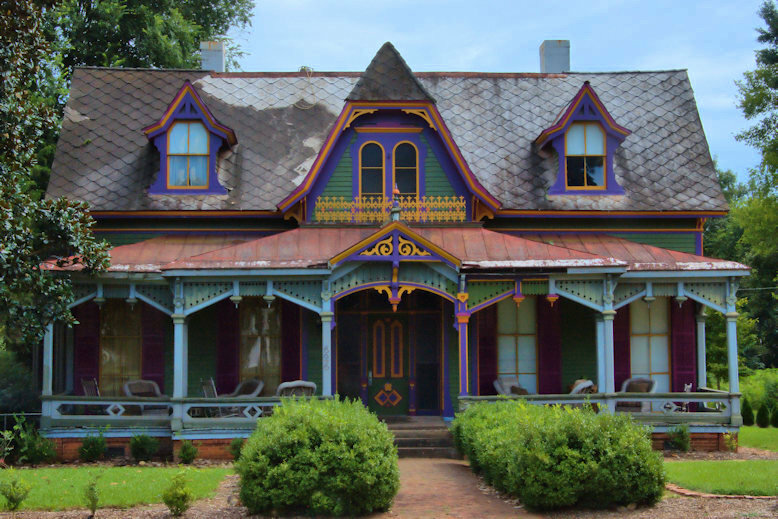 He commissioned William H. Parkins, Georgia’s most important architect of the post-Civil War period, to build this elaborate Queen Anne cottage. Parkins was also the designer of the Randolph County Courthouse and Old Main at Andrew College. Impressive! I like the dormer roof shape.